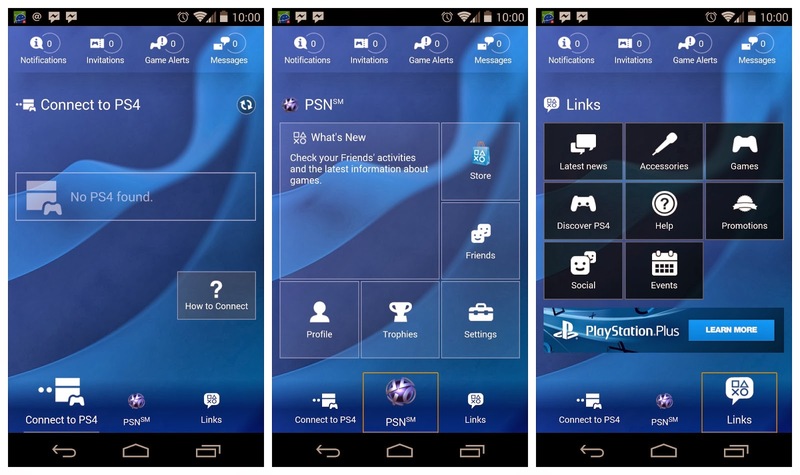 Sony has released an official PlayStation app for Android and iOS devices. The app gives access to the PlayStation Network from tablet and smartphone, and allows you to chat to friends, receive game alerts, and buy games from the PlayStation Store before pushing them to your PlayStation 4 to download and install while you're away from your console. PlayStation App for Android and iOS is now available in North America from Google Play and the iTunes App Store. PlayStation App offers screen screen functionality via the Connect to PS4 feature. The app will also display PSN Trophy information, feature chat capabilities with friends and offer access to the PlayStation Store. It will also include Twitter and Facebook integration. Your device's touchscreen can also work as a second screen for the PS4, apparently allowing "greater challenges and control" when games — such as the Playroom, pre-installed on PlayStation 4 consoles.